06/19/07 UPDATE | SDTEKKEN.COM - TEKKEN News Resource! Special thanks to am-net.jp for providing the video for everyone on the net’! 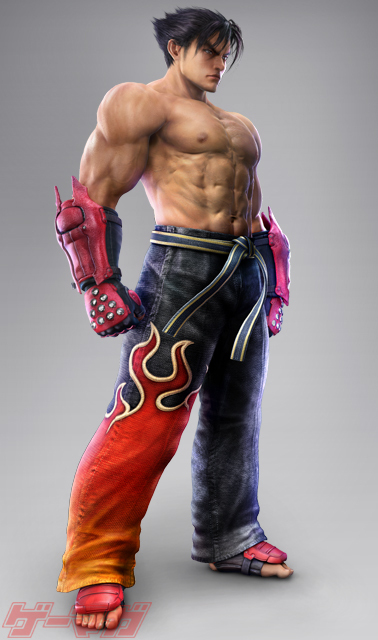 The new video trailer features tons of gameplay from Tekken 6 as well as some suprises! NOTE: Video has no sound! Here are some impressions/gameplay changes from Zekusu, thanks again to mukumuku for the heads up! The game is currently about 50% complete. There are definately 2 new characters yet to be seen, with the possibility of MORE. Please keep in mind that the game is still in beta testing and the final product will be different from how it is now. New move, f,f+3,1,b+1+2 (3rd hit is a mid punch). Zekusu doesn’t have any ideas on how to use the move yet. New move, b+3, seems useless right now. d/f+1+2 was changed to a double punch attack, the 2nd hit options were taken out. The laser throw recovers slower now. No guaranteed follow up afterwards. After hellsweep hits up close ONLY, 1+4 can connect, but it won’t if you do dash 1+4. 1+4 move animation has changed. Frame properties have changed as well. Combo damage has been toned down. d/f+1,2~f,f, hellsweep ender for juggles is no longer possible. Recovery off d/f+1,2 is slower now. The cancel doesn’t seem to be there anymore. If you play Devil Jin like you played him in DR, overall he is much weaker. Heya! Exceptional consideration, but will this genuinely do the job? Thanks really much for revealing this interesting submit. I’m just beginning up my individual blog and also this has granted me inspiration to what I can accomplish.